Today on Grow Live, Matt Johnson and Renia Carsillo discuss how to improve your digital reach. Renia, self-proclaimed LinkedIn enthusiast and savant, explains how recent changes in LinkedIn make it a network to invest your time. Check out this episode to learn how to find leads and potential customers on LinkedIn in 5 simple steps. “You don’t want your social media presence, especially your LinkedIn presence, to feel like a bait-and-switch,” —Renia Carsillo, Director of Digital Strategy at SMS. Today’s call to action: Download our daily LinkedIn 5 checklist at growwithsms.com now. Follow its steps each day, and watch your reach expand! Next week, we’re talking tech. Join us to learn about our Top 10 Apps for Marketers in 2018. Welcome back to Grow Live, everybody. We're a couple of minutes late today, but we're really excited to be with you to talk to you about one of my favorite topics, LinkedIn. Are you excited, Matt? I am really excited, Renia. We talked about this before as we were planning the show, but I look through your notes, I realized, "Dang, I think I've been doing this whole LinkedIn thing wrong for a long time," and I'm really looking forward to you giving us some expert advice, just for me personally, to get back on the wagon here and learn how to dominate LinkedIn. Awesome. 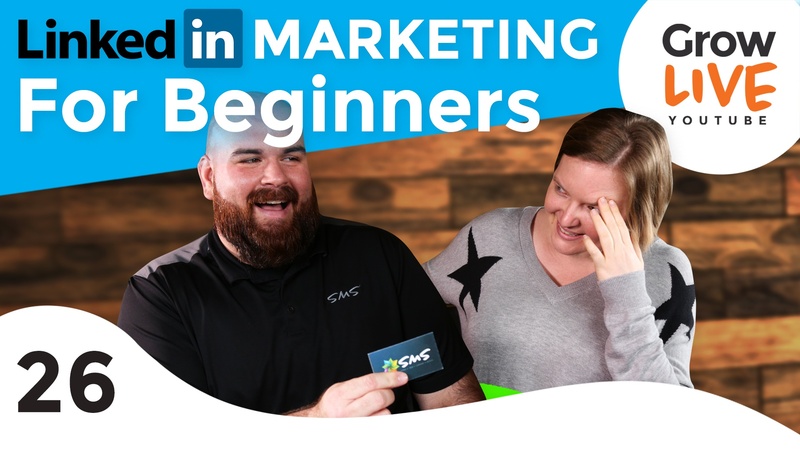 Well, if you're new to us today, I'm Renia Carsillo, director of digital strategy here at SMS, and I'm back with Matt Johnson, our CMO and managing partner, and hopefully we're going to teach him a little bit about being social on LinkedIn today, right? The cool thing about this week's show, if you have been with us for a while, is that you are going to learn actions today that you can take during the show or immediately after. We're going to teach you how to manage your LinkedIn presence in 15 minutes a day. Like, last week when we talked about this really big topic where Matt really schooled me on co-op programs, I know that can feel a little overwhelming, so today we wanted to come back and give you something super actionable that you can do right now to see fast results, so please tell us in the comments while we're going through the show or if you're watching it after how you're using LinkedIn now, what you've seen it do for you. Maybe ask us some questions about what's going on with your LinkedIn presence. If you're watching us back on YouTube, the comments are below. Also here on Facebook. If you're listening on the podcast, you can always shoot us an email at info@growwithsms.com, or you can hop on over to Facebook or YouTube. And by the way, if you leave a review on iTunes or if you leave us a comment, you'll be entered to win for some cool SMS swag. I hear we have some ninja t-shirts. If you're a nerdy or you're a ninja, you will be very happy with the swag that we got coming for you. So definitely leave some comments, and we'd love to engage with you. ... I'm actually going to be the one getting schooled, so I'm going to flip the script a little bit and I'm going to ask you some questions about LinkedIn so that I can learn, so that our audience can learn right along with me. I get a little nervous when I'm not the host, so we'll see how this goes. Right. She likes to be in the control, I guess. Guys, the first question that I want to ask on behalf of all of us out here who are trying to figure out LinkedIn, is this really a place where I need to invest my time? Like, why should we actually care about LinkedIn? Yeah. That's actually a really great question, Matt. If you've been around this world for a while, we for a while kind of thought of LinkedIn as just a place to go and get a job, like it was a great place for kids post-college to find their first job or if you were out headhunting, but in about the last 18 months or so LinkedIn has put some really concerted efforts into becoming a really impactful and engaging platform. Now I don't want to say that it wasn't, been before. In fact, I've been really successfully using LinkedIn for about eight years, but it's just taken a pretty big shift in intentionality towards providing a lot of value, and right now in particular it is one of the most social places to engage with professionals and you can get more reach on LinkedIn than just about anywhere else I know as a professional. Yeah, $79, $80 a month. ... because nobody pays for social media today. But I guess LinkedIn has some tools that allow you to kind of dig deeper and view more information about the people you're trying to connect with, right? Yeah. You know, you don't have to get real conversations about Twitter all the time where, listen, if you're not going to live there, this may not be the platform for you. Twitter scares me a lot, guys. I'm not actually on Twitter very actively and the reason is just because of that. I prefer LinkedIn. It's my favorite platform right now, right alongside Facebook, maybe right toe and toe with Facebook right now, but the idea that I can flip through LinkedIn and I'm seeing a manageable amount of content, it's not as overwhelming. It doesn't give me that social anxiety that Twitter does because I can keep scrolling for hours and not cover everybody. Yeah. If you think of the speed as like level, Twitter is the really, really fast, going constantly all the time, Facebook is a little bit slower, and LinkedIn is just a nice steady walk, so if you get a little active on LinkedIn every day for just a few minutes you can get a huge amount of impact. The other thing is, you know, you've heard Matt and I both say how Facebook is really becoming a pay to play platform. LinkedIn isn't quite there yet. They have some cool features with ads, but it's still a great place to get some free or almost free exposure. Love it. I mean, I think I'm fully onboard with LinkedIn. And I assume a lot of our audience is as well, so if we are on board with LinkedIn and we've been there recently, we've said, "Oh, this is a great place to play and how do I play the game?" what is the first thing that I need to do every day to do this less than 15 minute a day LinkedIn schedule? Yeah, so we're going to assume in this process that you've already completely filled out your LinkedIn profile, but I do want to give you like a prequel. If you haven't done that yet, you probably should start with completing your profile, but then once you've done that, every day you want to post something helpful on your page for your company and probably on your personal profile. But I want to emphasize that this is something helpful that doesn't come from you or your company. It's not the blog that you wrote. 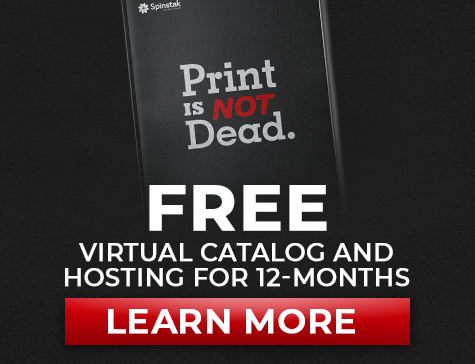 It's not your company's blog. This is something from another source, because if it comes from you, even if it is helpful, it's going to come across as salesy. That hurts, Renia. That hits me right between the eyes and I'm guilty as charged, but I honestly think that my content is helpful, so I'm sharing it. Does that count? No, unfortunately it doesn't because even if your content is like the bomb diggity, great, helpful, cool stuff, which of course SMS content is, right? It's still, when they see that CMO and managing partner of SMS and then the SMS domain on your content, it looks like a sales pitch no matter how good it is. Yeah, I get it. I get it. So this is a place to be a giver and a easy way to do that is to set up like an RSS aggregator if you haven't already. Next week we're actually going to talk to them about apps to use and we have a couple of cool ones to do stuff like this, but set up Feedly or Pocket and follow a bunch of industry blogs, industry newsletters, other B2B platforms, so you have everyday have resources to draw from. I heard some salesperson out there go, "What the heck is an RSS aggregator?" Ah. Okay. An RSS aggregator is just a really fancy term for like a container that holds all your news on the internet, so think of it like your own personal newspaper that you choose which articles go into it based on the things you like to read. Right, and then I would check that every day to see what was fresh, find something that I think is helpful, something that is important, and share that with my followers. Yeah. My favorite tool for this is called Feedly, so if you look in the show notes, we'll have a link to Feedly. All you have to do, it literally pops into the corner of your browser and allows you to push a button any time you want to follow a website, and then once a day you'll get an email with a list of all the new content from that source, so it's super easy to use and it allows you to pull the thing that you want to share that's helpful every day, so one thing every day. You can do that, and let's see, out of our 15 minutes probably two minutes. Now I do just want to say it's really important that you actually look at that thing first. Don't just think the headline is good and then post it because sometimes what's in the article isn't as good as the headline, right? Yeah. You would think you wouldn't have to say that, but absolutely. Just in case somebody actually comments on your posts, you need to know the context behind what it is that you shared. Right. All right, cool. That's kind of the easy one, right? I would think, right? That's just finding something helpful, sharing it. Easy enough. You and I can do that, but let me ask you this. There is some content that maybe I should create on LinkedIn, so maybe I should do some writing or maybe I should write, because I see some of the stuff that gets shared the most on LinkedIn is usually somebody writing some soapbox speech or some sort of like encouraging note to fellow professionals. That's the stuff that gets shared, that's the stuff that gets liked, so if I am creating content on LinkedIn, is it the same as if I was writing for Facebook or Instagram, or there something important that I need to know? Yeah, so it's not the same as Facebook and Instagram. This is actually one of the biggest mistakes I see people make on LinkedIn. There are actually two ways, two main ways that you can write for LinkedIn, a regular post ... there's the lawn guys. A regular post that goes in your news feed contextualizing the thing you post or like a status update, or LinkedIn Pulses, which are your articles on LinkedIn. Now I'm not suggesting for most of you that you go write full length articles. If you're ambitious, it's awesome and you can get a lot of reach, but most people are not copywriters. What I do want you to do when you write your posts, though, is think of it like a business letter. Think of it like a business email. The hashtags that you would use on Instagram, not appropriate for LinkedIn. The casual language and the things like LMO or OMG that you would use on Facebook, not appropriate for LinkedIn and it will make you look unprofessional, so put your professional hat on and grammar check and use full sentences. No hashtags for LinkedIn. Speaking of professional, can somebody go shoot the lawnmower man that's driving around? I'm not sure if that qualifies as professional exactly. With a Nerf gun, I meant. In fact, there's not even any hashtags being used in LinkedIn, right? Technically, you can use hashtags. Sure. More mature, so mature people don't use hashtags. Is that what you're saying? A lot of them don't understand the hashtag ecosystem, and plus it makes the reading less clear if you don't understand that language, and the trick on LinkedIn is clarity above anything else, so use that professional writing hat. Install the Grammarly Chrome plug-in and make sure your grammar is nice. Check your spelling before you post that post. Beautiful. So after I write something that is worthy and poetic, what do I do next? I think the next most important thing is to make connections. You need to find new people to connect to. That's how you grow your following, grow your influence. That's what it's all about, really. I think historically that's what I think LinkedIn has been good at, but it's become so much more than that, but we can't forget that that is the core part of the LinkedIn platform, is it's all about connecting with other like-minded individuals. It is. LinkedIn, though, is a little different than a Facebook or a Twitter or an Instagram in that it's really not a popularity contest. Technically, yes. You will get a badge next to your name as a power user when you get a certain number of connections, but it really doesn't help you a lot. What helps you is having meaningful connections, so you want to connect to people that you actually have context with. You know them or you have connections in common or you're in the same groups, and you want to send them a note when you connect with them, not just random, out of the blue. One of the ways that LinkedIn protects this is if five people say they don't know you when you request to connect with them, LinkedIn will actually suspend your account for 90 days, so not a happy thing, to get your account suspended. I see the young, aggressive salesperson out there right now going out, hunting people, and asking them to connect and they have no idea who they are, and I understand. I feel you, hungry sales manager, but not a good idea. Very, very cold. Most of the time when I get those from other people that are trying to connect with me and I'm the prospect in the scenario, I'm very turned off by that, and in fact I ignore them. That's why I ignore people all day long on LinkedIn, so if you want to get connected, the way to connect with me is by sending me a note telling me who you know that I know or telling me what industry we work in. Maybe we have some professional things in common or maybe we went to school together or maybe we just like The Bucks or whatever it is. Any kind of point of contact outside of a cold request is definitely the trick here. Yeah. I will tell you that alumni connections, those are one of the easiest ones to get with people that you don't have really any other context with. ... you can connect with me. There is a way, though, that you can make those connections if you're trying to prospect someone that maybe you don't have enough context with, so I want to kind of give you guys another tip for what to do here, and this is our third step. I want you to connect and share, so instead of asking to connect with that person, LinkedIn now, and this is a newer feature, newer in the last like 13 months or so, allows you to follow a user that you don't have context with. So just like on Facebook where you can follow someone without friending them, you can do that on LinkedIn as well. That way you can see their posts and start to share their things, and the more you share someone's posts, the more they're going to be like, "What? Who's this person that's sharing my stuff? They must be interesting because they like my stuff." Yeah. It's very flattering, so follow, not connect, with the people you have no context with and then share something from an influencer or from one of those people every day. Those are some really awesome tips, but if I'm a real practical salesperson, you know I'm on here to get leads, so tell me, Renia, how am I going to get my leads so that I can reach my quota and sell my stuff? Okay. I'm going to give you a ratio first of all. For every 10 to 15 things that you share from somebody else, like highly useful things that you share from somebody else, you can share one thing of your own or ask for one thing. Gary Vaynerchuk a while back, a couple of years, wrote a book called Jab, Jab, Jab, Right-Hook and then he said a lot on interviews afterwards, "I wish I had said like Jab, Jab, Jab, Jab, Jab, Jab, Jab, Jab," because that's kind of how it goes. The higher risk your service is, the more you have to give before you make an ask, so if you want to sell someone, I don't know, a 100 hardhats, you may be able to do that pretty quickly. Right? Very little trust involved. That's right. Right. Very little trust involved, but if you want to sell ... we have a client who sells this giant fall protection system that has to be installed by 30 people and train in how to use it and all this kind of stuff. You probably need 100 shares before you can make that ask. So what you want to think about is how high risk is it to do business with you and be relentlessly helpful before you make that ask, so if you've got an influencer that you share things with them, look at their stuff that thing sharing. What are they interested in? Who are they following? Then find something that would be interesting to them that when you make a connection request, you can say, "Hey, I've noticed you've been sharing this content. I found this. I thought it would be interesting for you. By the way, would you like to connect?" It seems to me, and tell me if I'm understanding this correctly, but the sales moniker, "Always be closing," it really should be flipped on its when it comes to LinkedIn. It should be, "Always be giving." So always be giving valuable content. Always be sharing. Always be endorsing. Speaking of endorsing, is that something that we should talk about? Yeah, so that's tip number three. We've gotten through like five minutes. You're going to connect, share posts. Right. I should speed this up a little bit. Yeah. This is actually a genius thing that LinkedIn did because they made it so easy to say, "I think this person is awesome." Right? That said, think about it first. Don't endorse people that you don't actually know, whether they're good at that or not, because you are giving, subtle or not so subtle, your professional endorsement for that person's skillset. Don't just throw it away. Right? Right. Yeah, don't just click. I think I've actually been guilty of this before because I was trying to follow. I was kind of doing some of these things before I really knew what I was doing and I was endorsing people, and I just saw, "Well, oh, that's their job title" so I assumed they're a director of marketing; they must be good at marketing strategy. Not so. I don't think you want to make assumptions in this area. You want to actually know them or if you meet them at a trade show, for example, and you see that they've put together a nice trade show booth, then I can actually say, "Okay, marketing, this person understands how to do that." That would be more realistic because at least I've seen something that they've done in action as opposed to just, "Oh, it's there, so I'll click it so that they know that I did something." Yeah. Look for people in your direct sphere. That's a perfect ... like, most of us have enough people in our network that we could probably get through a couple of years of this without having to just go click the button for the heck of it. Well, that's awesome. Is there any other tips on best practices? Yeah. We are posting every day, we are going to share posts from other people, we're going to follow at least one new person every day or connect with one new person every day, and we're going to endorse for five skills every day. There's one more, and I'm not going to lie, this is the harder one. We spent, the first four will probably take you five minutes or less. The other 10 minutes all goes to this final piece. It’s: leave someone a recommendation. You know, as a marketer, how important reviews are. They're important for your products. They're important for your website. They're important for your business. They're also like gold on LinkedIn. Leaving someone a recommendation is giving them a testimonial about how awesome they are, and you need those and you want those and you know you want those, so give back to other people first. In fact, LinkedIn, when you leave a recommendation for someone, will actually prompt them if they want to leave a recommendation back for you. So I recommend, no pun intended, leaving a recommendation every day for someone new, and yes, it takes a little bit of thought and a little bit of planning, but you really can do it in 10 minutes if you use a three-step formula. Here is where I was. This is what happened. As a result of what happened, now I am here. That's a good, solid recommendation and it will make people love you. I love you for giving this content. This is amazing. I would say that not only is this just good professionally and good as a salesperson to do this sort of thing, but this is like being a good human being. Not to get too touchy-feely, but most people are starved for recognition and people don't get that at work, in their workplaces. People don't get that sometimes at home. And as cheesy as it sounds, by you leaving a recommendation on a peer's LinkedIn profile or a prospect or a customer's profile, that may be something that really brightens up their day and it can go a long way towards really making the world a better place. You know, if we all could just stop and give each other the props that we deserve more often, I think we would all be a lot happier. Yeah. Absolutely. It's so important and it makes that person feel good, it helps them, and I think it makes you feel good to give it, and so I'm almost reluctant to say this last little piece about it, but I'm going to say it anyway because here's the selfish part. It does make you show up on their profile. Well, like anything good that you do, there's always a positive outcome. There's usually a side effect that happens naturally, and by you being a people person and engaging with these folks on LinkedIn and sharing your recommendations and endorsing for skills, yes, the side effect is naturally you're going to come across as a rock star and you're going to be on top of those people's minds. Then when it comes time for you to reach out with the phone call or reach out with that email asking for the next step in a sales process, that's when all of that work that you put into LinkedIn starts to pay off. Yeah. Can I step on my soapbox for just a minute as we're wrapping things up today? Normally I tell people, when they start doing a social media engagement process, because this LinkedIn five system and its brother, the Facebook five, is something that I've been talking to people about for several years, and normally what I'll have to say is, "It's going to take six months. It's going to take a while. You're going to have to do this consistently, just like exercise" before you see results." But LinkedIn is having a moment right now where that's not true. They're pushing so much for engagement and following and usage that you can get results doing this on LinkedIn in just a few days if you put intentionality around it. This moment will not last forever, so take advantage of it now while you can, and if you've tried using LinkedIn to build your company or to build your following and you're like, "It hasn't really worked very well for me," I want you to do a gut check about what we've just went through and ask yourself, "Was I just pushing out my own content or was I actually doing these things?" Not to pick on Matt. Because social media, the keyword is social. Matt, I want to ask you, did your mom ever drag you to a Tupperware party when you were a kid? Maybe once, and then I screamed and kicked and never went back, but I understand. Okay. Well, if you're female, men don't seem to do this at their parties, but there's a lot of parties that you'll get invited like, "Come to my house and have wine," and then you'll get there and it'd be like, "And buy some Tupperware or some makeup." So it feels like a bait and switch like a, "Come have a party, but actually buy stuff so I can get free stuff." Right? So you don't want your social media presence, particularly your LinkedIn presence, to feel like a bait and switch. You don't want it to feel like, "Oh, you're only here so you can sell me things." You want it to feel like a real party, like an epic party where you go and hang out with people and make conversation and create connections, because that's where ... we all know that the best business happens on the golf course. It's all about relationships, guys. And always be giving is true for the most successful people that I've ever met, and there's not a single successful person that I can look to, at least in my mind, that I can think of, that has not lived by that moniker. Always be giving. They're always going out of their way to make a connection, to share something, to put people together, to go the extra mile, to create something for free. That really is the pathway to dominating LinkedIn and dominating your business, whatever it is. Yeah. I say that I owe my career to social media, so it can be very powerful if you use it with that intentionality. I want to give some props to one of our guys here on our team, Brady Price. He's the director of e-commerce and he does business development for us, so he is kind of our sales manager out there. He has done a fantastic job of embracing your LinkedIn five and going out there and doing this, and I've watched him do this. What he does is he shares good content, not his own content. He is always connecting and commenting on people's posts. You would be surprised. Like, a lot of people are posting. If people are posting and nobody is commenting on their posts, that's kind of disheartening, and he's going out there and he's engaging with those posts. He's also writing content specifically for LinkedIn and writing content for other sales managers. He's had tremendous results with this and so we've actually seen business come from LinkedIn because of the things that he's doing, and that's why I'm on board with it. Now I'm starting to see the results happening. You know, I got to say that we're learning this too right alongside of you, but he would be a great person to go and connect with, and I think you could learn by his example, so look him up on LinkedIn. You can just search for Brady Price. Of course, connect with me on LinkedIn. I'd love to be a part of your network as well if we haven't done so already, and let's do this together. Let's be about the business of giving back and creating meaningful connections on this fast growing network. That's so awesome. We actually, we really want to help you do this. If you connect with Brady and Matt or myself, we'll help keep you accountable and we'll help give you feedback on your process, and to help you do this, in the show notes from today's show, there's actually a downloadable checklist and this is the same checklist, basically our graphic team made it a lot prettier than my original one, that I used to use. I kept it laminated on the side of the desk where every day I'd just check off that I had done those actions, and so at the end of the week it was like, "Did I do all of those actions?" You can download that checklist with the little how-tos on each item. Keep it by your desk to keep you accountable to this process. Then let us know what happens as a result of that, because I know you're going to be really excited about it and we want you to share those stories with us. So go to the show notes. You can find them at growwithsms.com, or you can find it in the comments under the Facebook video or in the comments under the YouTube video a link to download that checklist, and you can grow your LinkedIn audience with us. And I will be right alongside of you the entire way. I'll laminate mine, Renia, and I'll even go to the next step and I will book some time on my calendar every week to do the LinkedIn five. 15 minutes every day. All right. You heard it here. See you, Matt, on LinkedIn. You will see me on LinkedIn. Awesome. I'm really excited about today's show. Like I said, it's one of my favorite topics. I can't wait to see what you guys have to say about it, but we do have something super fun for them next week. Right, Matt? That's right. Next week we're going to give you a rundown of our favorite top 10 apps for marketing managers. We live this life every day. We're doing the same things you're doing out there, and we have some 10 apps. Probably a few that you haven't ever heard of. Maybe a couple you have. The idea is to expose you to some really cool new tech that's out there that will help you do your job better. Awesome. So come back and join us next week for Grow Live. Again, tell us what you're doing on LinkedIn in the comments and win some really cool SMS swag, and we'll see you guys next week. Bye, guys. Thanks for coming. Candlelight? None of that stuff? Hey, everybody. Thanks for joining us. If you're just getting started with us on Grow Live, be sure to check out some of our favorite episodes in the show notes.